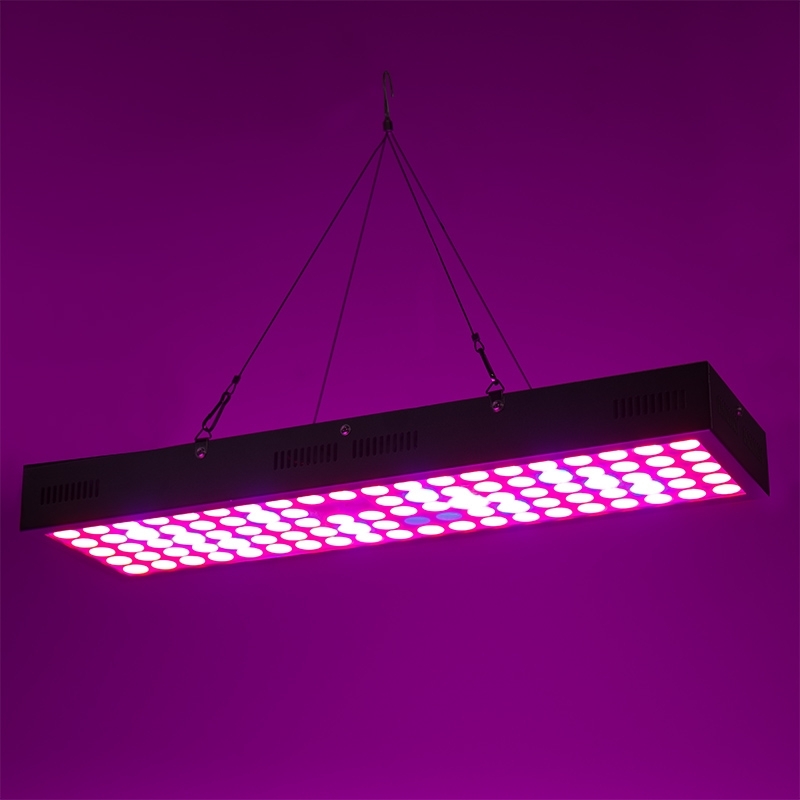 This full-spectrum LED grow light emits the perfect combination of red, blue, white, ultraviolet, and infrared light for veg and bloom plant growth. 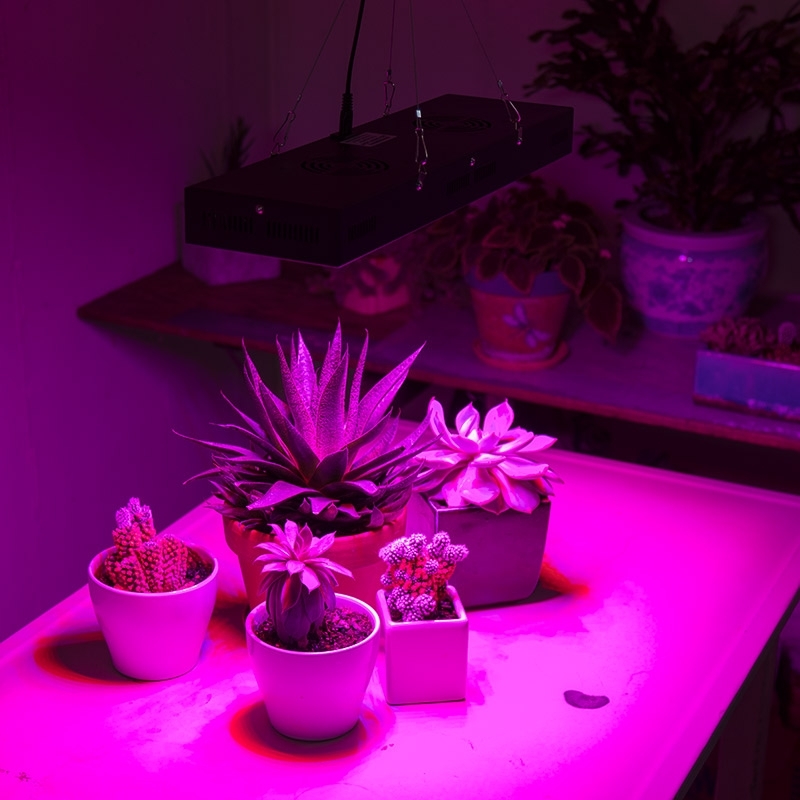 The 65-watt indoor grow light has a PAR/PPFD value of 165 μmol/m2/s. 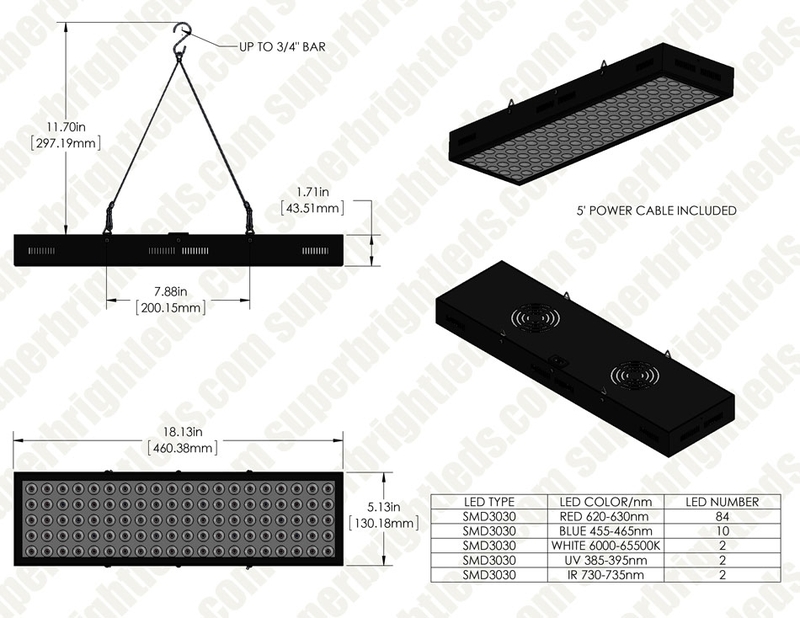 It uses significantly less energy than HPS alternatives and is designed to last 35,000 hours. 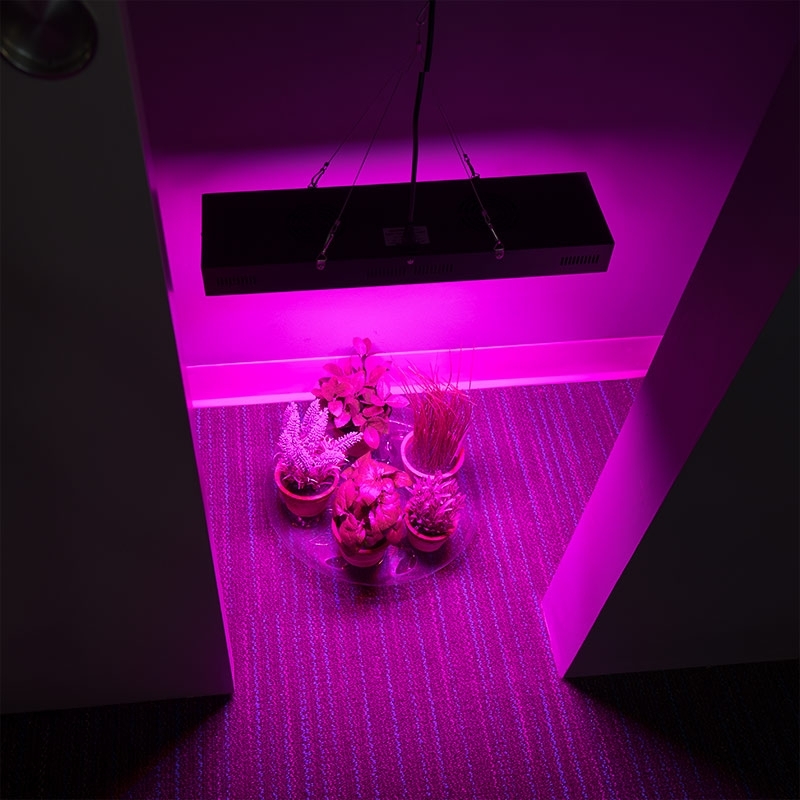 Cool-running LEDs and built-in fans eliminate the need for ducting and reduce the chance of leaf damage/bleaching. 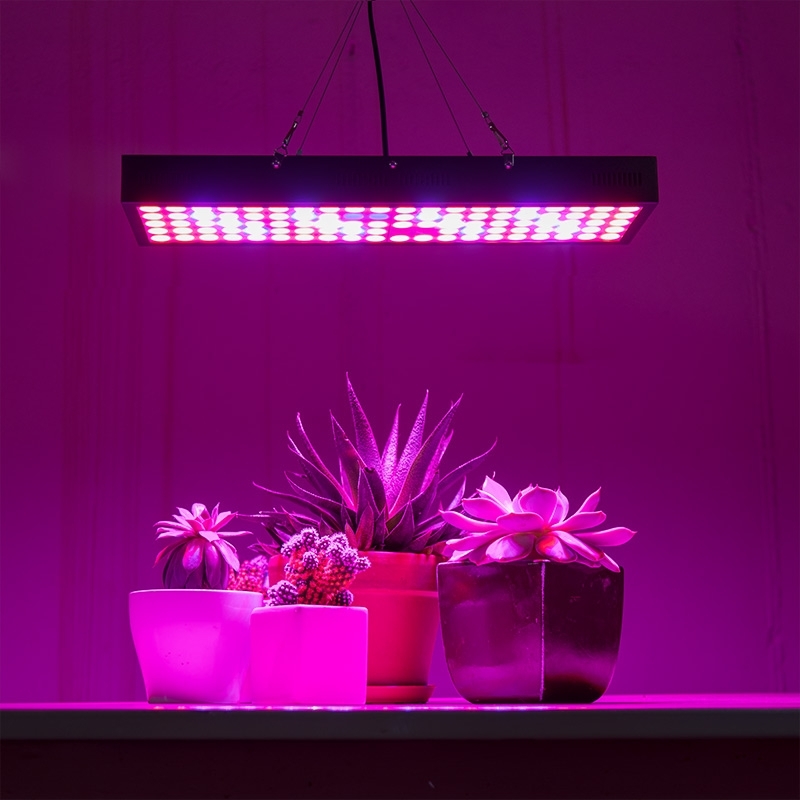 The grow light is constructed of durable aluminum. 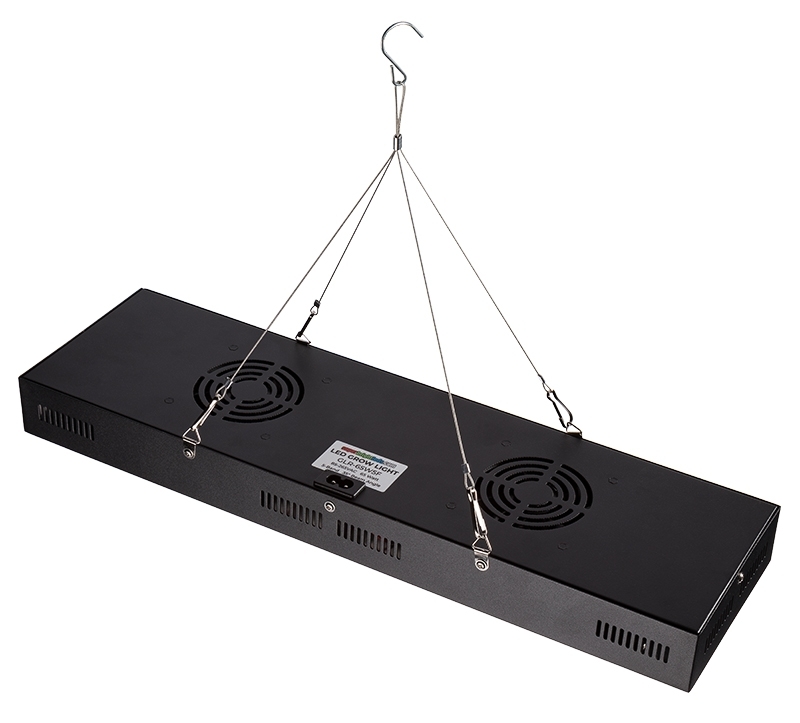 It's equipped with a power cord and comes with a 1' hanging kit. 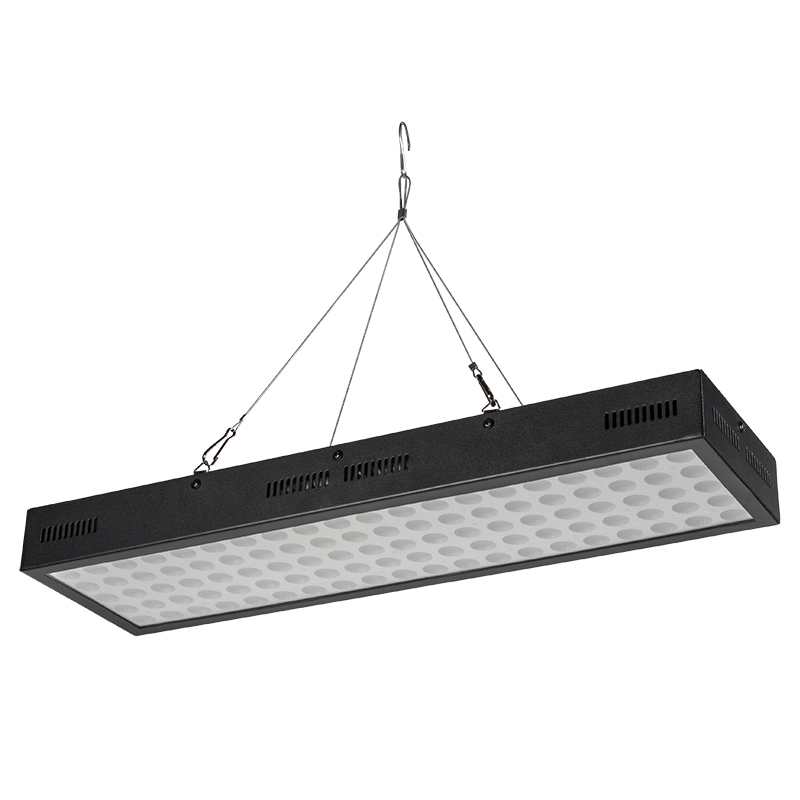 Use this LED fixture for a range of plants and applications, including legal marijuana, horticulture lighting, indoor gardening, hydroponics, and greenhouses. 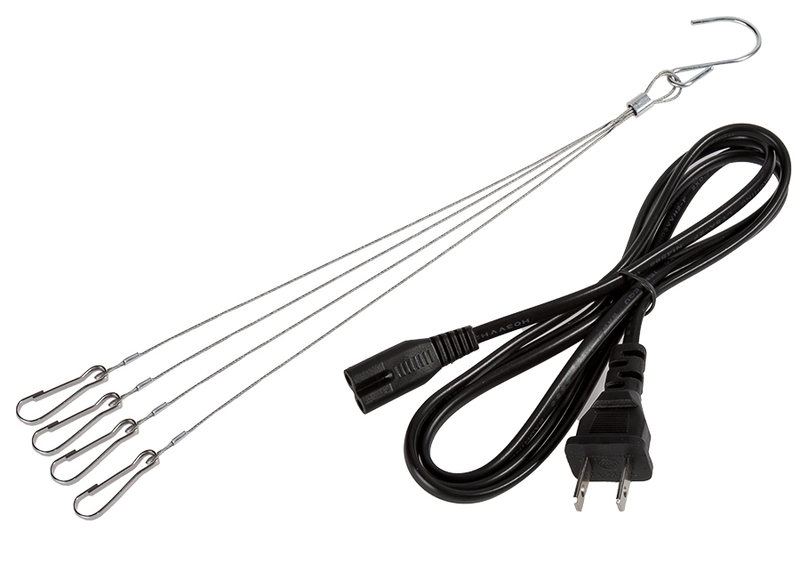 Interconnect Cable for 4' Linkable LED Shop Light/Garage Lights - 9.5"